After their economy collapsed in the early 1990’s when Soviet support disappeared overnight, Cubans have been slowly rebuilding, both figuratively and literally. We saw buildings that were disintegrating and some that were being restored, and everything in between. It’s a powerful metaphor for life itself: if we don’t put an effort into maintenance and growth, everything eventually falls apart. 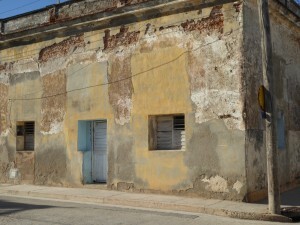 When we lack resources or a sense of ownership or hope, that maintenance is neglected. 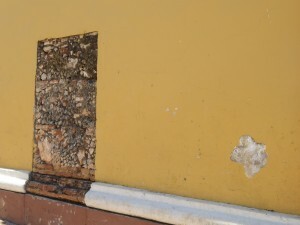 It can be a huge source of energy to begin and complete the restoration process. 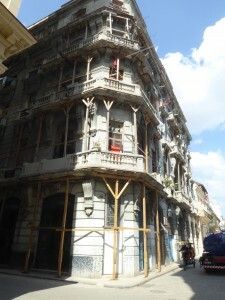 Cubans hope their rebuilding process can be accelerated with the restoration of US-Cuban relations and new investment. Time will tell. One of the more intriguing aspects of this process in Cuba is that on some of the public buildings they leave a section in its original condition, as a window of authenticity, to show that this is truly an old building. It reminds me of the old saying: Don’t judge a book by its cover. There is so much more to be revealed by continuing to explore. 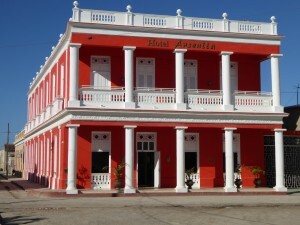 This entry was posted in Travel and tagged Cuba, Friendship, Impermanence. Bookmark the permalink.